Millinery is an exciting and vast subject. Private tuiton is offered on a one-to-one basis through a range of courses held in the studio in Mountrath Co. Laois tailored to your needs and experience level. Gift Vouchers are available for these courses and make a great present for the creative person in your life. 5 Day Millinery Course : Learn how to work the 3 main millinery materials; fur felt, parasisal straw & sinamay from raw materials to 3 professionally finished pieces using traditional millinery techniques and professional equipment. Cost : €500. 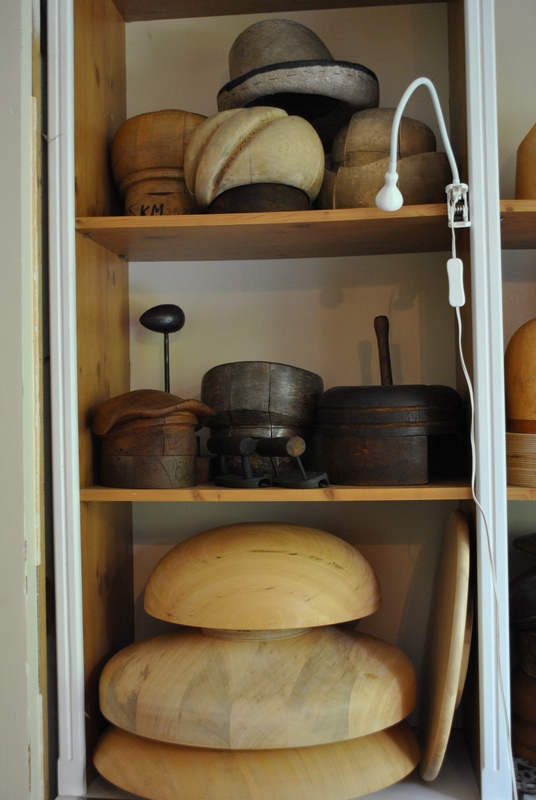 1 Day Millinery Course: For those tight on time. Learn how to make a leather flower headband. Please note there is no blocking covered in this course. Cost: €200. 3 Day Course Advanced Sinamay: Learn the couture technique of working with windowpane sinamay to create an invisible edged brim. You will also block a solid sinamay crown and learn how to attach these together. You will also create a solid sinamay saucer or percher. Cost : €350. Trimmings Course: For students already proficient in blocking and wanting to concentrate on the cherry on the cake. Learn how to make silk roses using traditional flower irons. 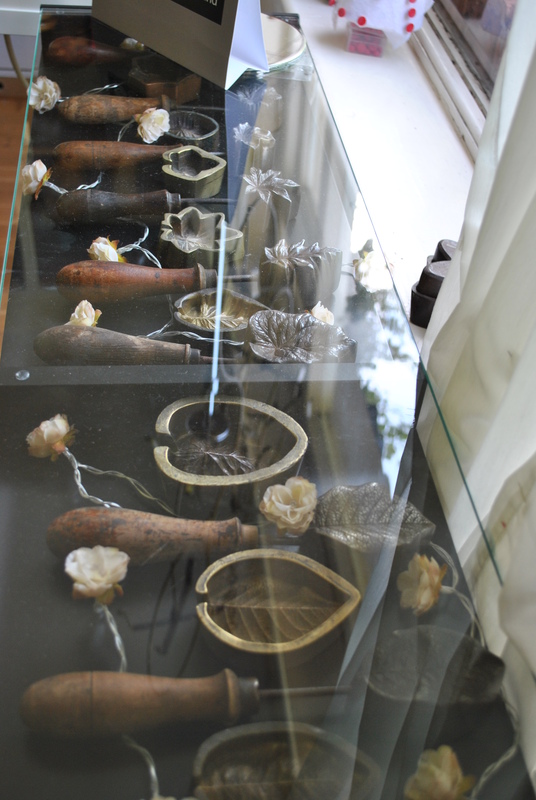 Learn how to cut, shape and work with feathers to create flowers, mounts, etc. Learn ribbonwork, sinamay trimming, dior roses, felt trimmings and more. Alternatively contact me to discuss what you would like to learn and I will create a custom course for you. Have a look through the Course Available and contact me with the course that you are interested in and the dates that suit you. If they are available you will be sent bank details for a transfer of your deposit to secure your dates. This deposit is non-refundable/transferable and will be deducted from the total course cost, the balance of which is due on the first day of your chosen course. Once your payment is received you will be sent a list of materials depending on the course you have chosen along with links to accommodation in the area, directions, etc. Q. What dates are the courses held on? A. Courses are held throughout the year. Dates are available on a first come first served basis and are secured with a deposit through bank transfer. If you have certain dates coming up that suit you call to book 0877563601, if they are available you will be sent details for a bank transfer of your deposit to secure them or I will suggest alternative dates. Courses usually run weekdays 10.30-4.30 with an hour break for lunch. Q. How many people are in the class? A. Courses are held on a one-to-one basis unless you would like to bring a friend to do the course with you and receive 10% off each tuition fee. The one-to-one basis ensures that the course can be tailored to your pace and experience level and you are not waiting on use of equipment or attention if you get stuck on something. A. The courses are held in Mountrath, Co. Laois. Once your dates are secured I will send you on directions. Q. What is the price of the course? How much is the deposit? A. 5 day courses are €500, 3 day courses are €350, 1 day is €200. If you would like to bring someone to do the course with you, you will receive 10% off each tuition fee. The deposit to secure your dates are €100 which is deducted from your total and your balance is due on the first morning of your course. Deposits are non-refundable and non-transferable. A. Once we have discussed dates you will be sent details for a bank details for a transfer of your deposit. Please note your dates are not secured until your deposit is received. A. Once your dates are secured you will be sent a materials list with links to suppliers that you can copy and paste to your address bar to bring you directly to each product. Included: One-to-one tailored tuition. Course notes tailored to your chosen course. 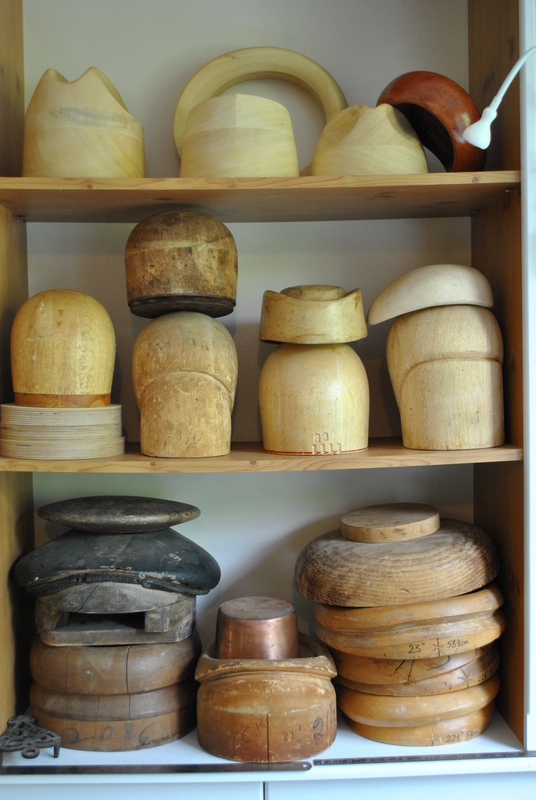 The use of professional millinery equipment including my personal hatblock collection, spinners, hat steamer, brushes, scissors, pliers, separator, blocking springs, blocking cord, runner downer, pin pusher, irons, rulers, measuring tape, cling film, pressing pads, etc. The use of millinery stiffeners, spring wire, millinery wire, etc. Tea, Coffee & Wi-Fi also available. Q. Do I need any millinery experience? Do I need to be able to sew? A. No! Courses are held on a one-to-one basis so I will be walking you step by step through each stage working at your pace and experience level. Q. Do you offer other courses? A. Yes. If you have more experience contact me with what you would like to study and I will tailor make a course for you. I recently did a one to one course with Aoife. It was the most interesting and beneficial experience I have ever had. Aoife is a fantastic teacher, brimming with helpful tips and advice. Her profound knowledge of the art of millinery is first class. Her professionalism, patience and kindness know no bounds. If you are interested in millinery then I would highly recommend Aoife’s unique expertise. I can’t wait to book in for my next course. – Ailing O’Neill – Co. Tipperary. I found Aoife online when searching for millinery courses in Ireland. After I contacted her she quickly came up with a tailored one to one course especially to suit my needs. Aoife is a highly talented, experienced and knowledgeable milliner and I would highly recommend her. – Niam Mooney – Dubai, United Arab Emirates. I did the intensive 5 day course with the lovely Aoife not too long ago, must say that I learnt a lot. I had a fab time learning the art of millinery. Information sheets were a great help and still are. Loved the experience and hope to do some further course with Aoife soon. Cannot recommend her course highly enough, I now have the confidence to go on and take my millinery further. – Christopher Brown, Co. Westmeath. I had the opportunity to take Aoife’s 5 day master class. Working one-on-one with her was ideal for me as I was able to learn each technique while having her there to guide me throughout the course. Having admired hats for many years I was excited to learn everything I could during my time with her. She made the course interesting and easy to follow along, allowing me to use my ideas and designs to create hats that I can enjoy for years to come. I would highly recommend taking the course. Portlaoise is a great town and Aoife was the perfect host giving hotel recommendations, restaurant ideas, etc. which made my week away from home more enjoyable – Kelley Ross, Co. Cork. I recently had the pleasure of attending a 5 day millinery course with Aoife Kirwan. During the course I learned how to work with sinamay, felt and straw and by the end of the week I had (to my astonishment) finished very wearable pieces in each. Before commencing the course I had no experience in millinery or sewing and was worried this would hinder my progress. However it did not as Aoife explained everything very simply. Aoife is very patient and shares her expert knowledge willingly. I thoroughly enjoyed the 5 day millinery course, I learned so much and would highly recommend a course with Aoife to anyone who has an interest in learning more about the art of millinery. – Lisa Sheeran, Co. Laois. Thank you for the amazing 3 day course that I did with you. I thoroughly enjoyed myself and learnt lots of new skills. You were very clear, explanatory and have great patience. Looking forward to doing my next course with you. – Sandra Shortall, Co. Tipperary. Having been interested in millinery for some time I was finding it hard to find a suitable course until I found Aoife. I completed her 5 day workshop where I gained invaluable knowledge and know how to make some beautiful pieces in felt, straw and sinamay. Her attention to detail and perfection in her pieces is outstanding and she instills this value in her students. I really look forward to another course with her in the future. – Tracy Murphy – Co. Wexford. I recently had the pleasure of doing a custom week long course under the guidance of the skilled milliner that is Aoife Kirwan at her beautiful studio in Mountrath. I gained considerable knowledge covering several areas of millinery over the course of the week as she demonstrated and guided me in this fine art from blocking to completion with silk roses. I completed two stunning hats and took away some excellent notes for following on future projects. Aoife was patient and a knowledgeable teacher and her guidance and advice was invaluable for a beginner or experienced milliner. I look forward to further tuition with Aoife….Highly recommend. – Frances McGivern – Co. Donegal. Thoroughly enjoyed the millinery course I did with my Mum this year. Aoife’s knowledge and passion for the art of millinery is evident from the offset. What I really loved about the course was that you knew you were learning proper millinery techniques, no corners being cut here. We managed to both make three beautiful hats under Aoife’s tuition, which we just loved. Time very well spent indeed. – Caraiosa Egan – Co. Tipperary. Aoife made me feel at ease with her patience and understanding that I had never tried millinery before. It was a whole new world for me and Aoife made me feel comfortable and coached me every step of the way. I was emersed in the world of millinery for five days and loved it. I left with three completed hats and a great understanding of straw, sinamay and felt. I would highly recommend Aoife to a friend. – Leanne Caulfield – Co. Dublin. Having recently done Aoife’s intensive millinery course I was blown away. I don’t think my mind has stopped going over it all in my head since. 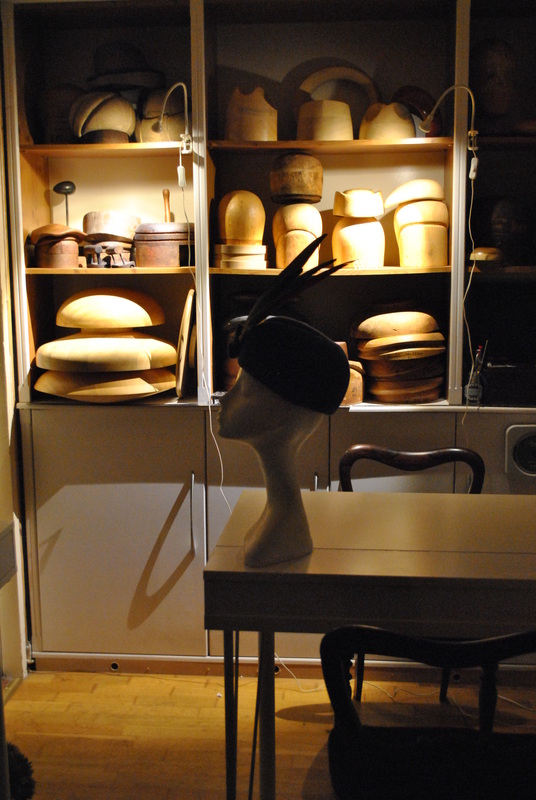 Aoife provides such a calm relaxing atmosphere and the perfect environment to learn the art of millinery. Her innate wealth of knowledge is astonishing and she teaches it with sincere passion but also a down to earth nature. Her pure “ghra” for millinery is plain to see. I learnt as much as I could during the course and there was only one massive downfall………… it came to an end!! The days flew by and I was sad it was over. Aoife is a fantastic teacher and I highly recommend this course to anyone with an interest in millinery. I look forward to returning for some more lessons with a true artisan. – Assumpta Connolly – Co. Galway. 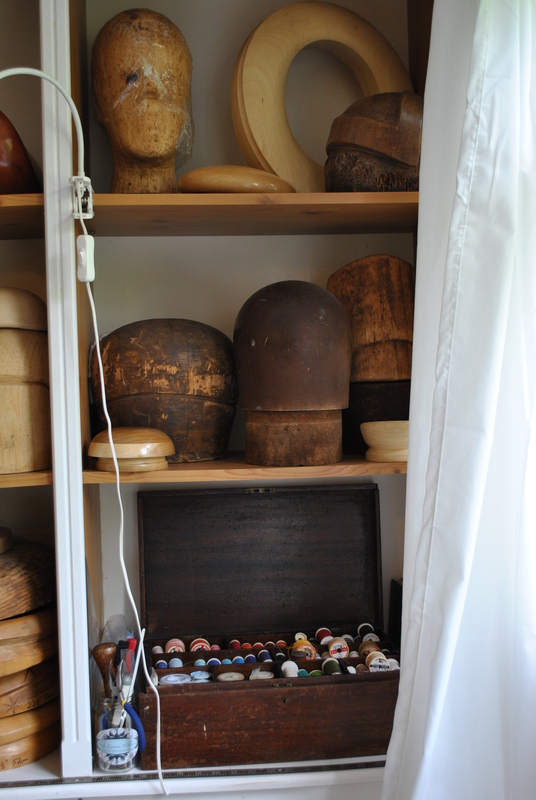 Having contemplated doing a millinery course for quite some time now and having done some online research I decided that Aoife’s classes would best suit my needs….. and I was right! My delay in pursuing a craft I greatly admired came from my non-existent sewing and haberdashery skills. Aoife guided me through each process and stitch with patience and professionalism, none of which turned out to be too complicated because of the one-to-one teaching approach Aoife adopts. No question or query went unanswered and her knowledge and passion for traditional techniques was evident throughout the week long course. Aoife also supplies her students with comprehensive notes on each aspect of millinery which have proved a fantastic point of reference as I continue to hone my skills at home. Despite my limited skill set I still managed to walk away with three impressive headpieces and so cannot recommend this course enough. Now all I have to do is decide which course to do next…. – Caoimhe Mc Namara – Co. Clare. I wanted to learn more in millinery and as I was looking up courses I came across Aoife and found where she teaches is close by to me. I did the five day felt, straw and sinamay course and was delighted I did this one because I learnt a lot over the five days. I made three hats in five days using sinamay, straw and felt and learnt the different ways of working with all three. I enjoyed it and felt it was well worth doing. I would recommend it to anyone to do. – Sarah Byrne – Co. Offaly. A superb introduction to the art of millinery. I have come away from Aoife’s course with a wealth of knowledge. Her course is focused on learning and is task orientated with particular emphasis on attention to detail. 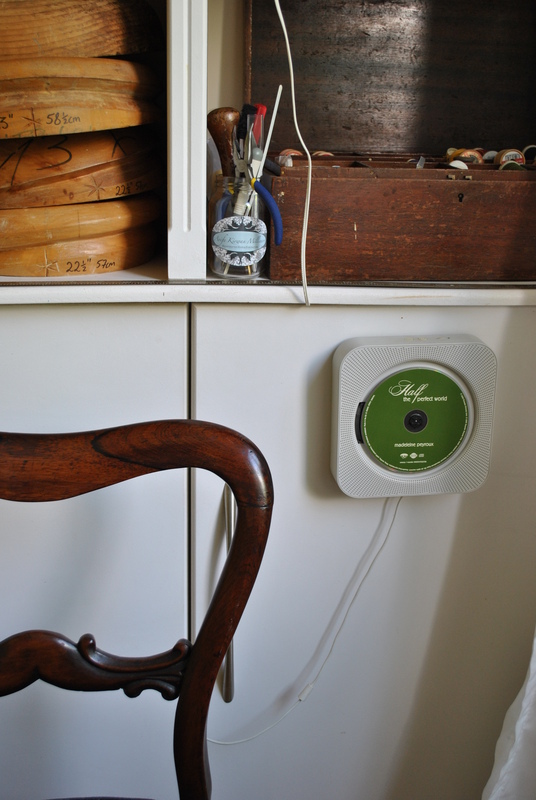 Aoife is passionate about preserving the traditional techniques of the trade and extremely generous with her knowledge. She passed on lots of hints and tips that would otherwise have taken me years to acquire. I am looking forward to putting into practice the new skills I have learnt. – Virginia Anderson – Co. Down. I have an admiration for vintage style hats and I am creative but lack the skills to make a hat. Aoife’s one-to-one style course was what I needed as an introduction to millinery. Aoife’s obvious passion is clear by her techniques. There are no glue guns used here! Traditional methods and tools showed me how to handle felt, straw and sinamay. There is great joy in wearing your own designed hat. I loved every minute. It is hard work but that is why milliners take years to train. Aoife did a lovely job giving me the pieces I wanted to learn about in a short time of 5 days. I’d love to run away with her vintage blocks but she does them more credit than I could imagine. – Lynda Glennon – Co. Dublin. I am curious to know more about your milinary courses. I am living in Co. Clare, and wonder if you do courses over weekends or school holidays as I would need to travel. Looking to do the 5 day course. Living in co Kerry. Wanting to know when the next course is available. Do you do beaded jewely and bridal head pieces. Hi Lisa, thank you for your message. If you would send me your phone number I’d be happy to give you a quick call to discuss it and answer any questions you may have. I’m wondering if you have a 5 day course on in January or February? And where are you based? Thank you for your message. If you text (0877563601) or email (AoifeKirwanMillinery@yahoo.ie) me your phone number I’d be happy to give you a quick call to discuss it and answer any questions you may have. I know alot of very skilled people, but it makes a special person to be able to teach there skill. I did the 5 day course. If your a complete novice like I was you need at least several 5 day courses. There is a lot to learn. A lot of hands on. I’m hooked. I want to be able to make my mother of the bride hat. For my daughter’s wedding. I will be returning to Aoife to learn more. I love hats. Its something I only ever dreamed of learning. Now I’ve took the leap no going back. Proper millenary. ONE OF MY BETTER CHOICRS IN LIFE.